Lauren Murray is the director of consumer engagement and community outreach at the National Partnership for Women & Families. In this role she works in partnership with foundations, federal government leaders, health care providers, community-based organizations, consumers and others to develop and implement strategies for improving the quality, safety, efficiency, and patient- and family-centeredness of the health care delivery system. At the heart of this work is facilitating positive partnerships between consumers and other stakeholders, with a focus on consumer coaching and knowledge enhancement, as well as assisting all stakeholders’ understanding of consumer engagement best practices. Lauren is involved in a variety of patient experience and care coordination/integration efforts including service on the Outpatient/Ambulatory Surgery Experience of Care Survey Technical Expert Panel (TEP), National Committee for Quality Assurance(NCQA) CAHPS Scoring TEP, NCQA Long-Term Services and Supports Advisory Committee, Centers for Medicare & Medicaid Services’ (CMS) Quality Measure Development for Dual Enrollees & Medicaid Long-Term Services & Supports TEP, Expert Advisory Panel Member for the Association of Community Cancer Centers’ Patient Centric Provider Resources Project, Commonwealth Fund Transforming Care Editorial Advisory Board, Adult Integrated Patient Care Expert Advisory Panel, Pediatric Integrated Care Survey Expert Panel, and the American College of Physicians’ High Value Coordinated Care Work Group. She also serves on the Lamaze Institute for Safe and Healthy Birth Steering Committee. 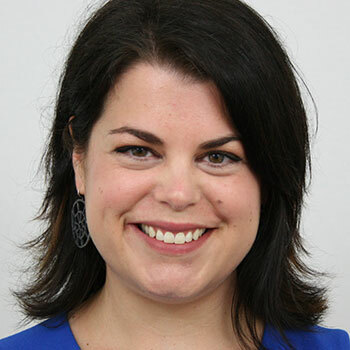 Lauren received a Bachelor of Arts in anthropology from the University of Virginia and has graduate training in medical anthropology and public health, where she has researched the efficacy of multi-stakeholder health care collaborations and issues related to U.S. maternity care.